Currently there is a debate in Congress over whether to continue funding PBS. Much of that debate has focused on the alleged left-wing nature of PBS' news content. I don't need to get to that issue...PBS simply has outlived its purpose. 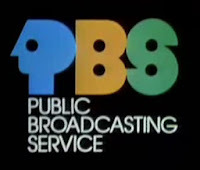 The Public Broadcasting Service was founded in October of 1970 to provide programming diversity at a time when there were only three privately owned national networks broadcasting. It brought cultural and educational programming to the dial. 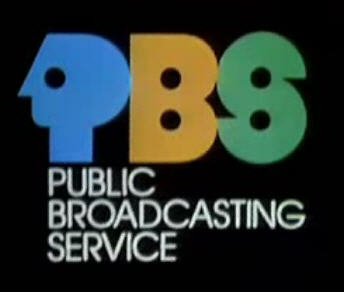 I remember well growing up when there was just the local CBS, NBC and ABC stations and PBS. History Channel, Travel Channel, Discovery Network, The Learning Channel, Animal Planet, House and Garden, Food Network, Military Channel, A&E, History Channel, the Education Channel, Discovery Health Network, C-SPAN 1, 2 and 3, National Geographic, Science Channel, the Green Channel, BBC, Biography, History International, and DIY (Do It Yourself) Network. As far as news choices, I have CNN, Fox News, MSNBC, CNBC to name just a few. I am a huge fan of the content that PBS produces. I love Ken Burns' work and consider his Civil War documentary probably the best thing ever on television. But it is no longer the case that only PBS provides this content. There is no grounds for forcing taxpayers to pay of PBS programming when it's duplicated by scores of commercial networks. It's time to pull the plug on PBS. As soon as the government stops funding NASCAR teams, races, and flyovers, and as soon as the government stops funding sports of all stripes. A NASCAR race is nothing but a government-worship service. If we are to be taxed to fund entertainment, PBS does far, far, far more good in creating an educated and civilised populace than does enriching NASCAR. Cato- stop the subsidies to all of that. Absolutely. Perfect. Darn you, Paul. I was thinking exactly the same thing and was ready to blog. Setting aside ideology, the mission is more than fulfilled. There was little diversity in programming, now there is. As for radio, same thing. The proliferation of internet radio makes the defunding of NPR all the more appropriate. Besides, once that happens, NPR can do whatever it wants and cease to be a political football. You can write on NPR. I listen to it occasionally but didn't feel qualified to make the same arguments as I did with respect to television. Yes...the mission has been fulfilled. Pull the plug. As far as Cato's point...babysteps. Let's go after the low hanging fruit first. I agree. But is it fair that an elite establishment clique is then handed a massively powerful propaganda tool that has been constructed with many millions of taxpayer dollars? The entire PBS infrastructure should be put up for auction, with the proceeds compensating taxpayers. Aside from Ron Paul as a candidate for president, I can't remember a single instance of a genuine supporter of free markets being interviewed on a PBS show. We could spend forever debating which government subsidized enterprises are more or less worthy, but the important thing is to end the subsidies, and PBS is a fine place to start. Do I expect the Republicans to have the gumption to abolish PBS subsidies? About as much as I believe they will end farm subsidies. Just look at Indiana Week in Review and you will see that the Republicans also benefit from PBS. Like the rest of government, they don't want to reduce it, they want to control it. Kind of like certain Libertarian Party candidates who couldn't identify a single program that merited abolition. No, Paul, I don't want government funding of NASCAR intact, keeping the troglodytes entertained, while the few intellectuals in this country starve for programming. NASCAR has 36 races, while PBS is spread through radio and television stations from Hawaii to Maine. The NASCAR bough hangs lower and is easier to prune than the PBS limb. I don't know anything about the NASCAR subsidy. But the PBS one has been debated for years and now is ready to be cut given the options tv viewers now have. "Intellectuals" or ineffectuals, starved for programming? Cato, PBS lacks intellectual curiosity & elitist is just another word for redneck. My only beef with pulling funding is there are still a large pool of people that don't have access to cable or satelite due to a number of reasons. Maybe there should be some funding so that PBS can send their signal over the air to these people. Hey there are alot of people out there that can't afford cable or satelite. I would still love to people of limited means be able to watch Sesame Street, the cooking and travel shows that aren't left or right leaning shows. See, Paul, the Republicans were given a chance to defund taxpayer support of NASCAR, a week or so ago, and they declined. Seeing them attack PBS proves them to be hypocrites who have no consistent ideology and merely pick and choose winners and losers based merely on whim. Their base hates education and the arts but loves the military, so PBS funding goes, while NASCAR funding stays.